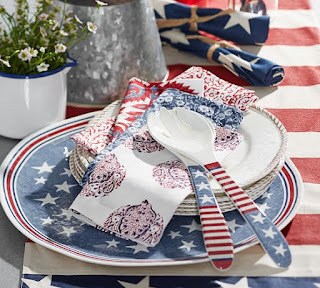 My 2015 July 4th All American RED WHITE & BLUE Picks from Pottery Barn for decorating, dining, eating, crafting and of course Fireworking! 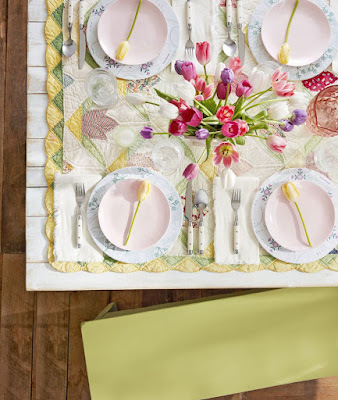 Stripe Dhurrie Table Throw ~ Our handwoven throw adds a rich, warm texture to the table, and its vivid stripes create a fun, welcoming foundation for a centerpiece or serveware. 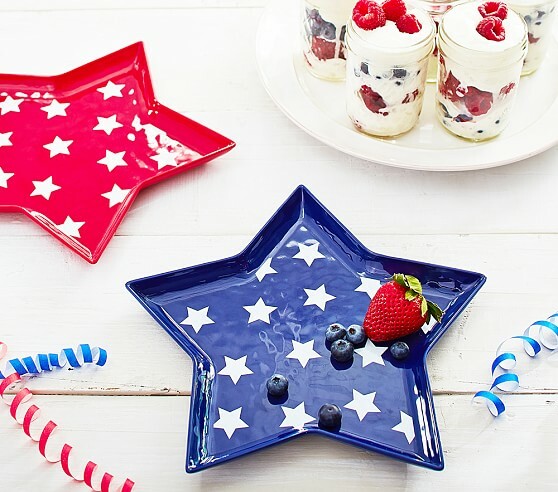 4th of July Plates ~ For a star-spangled Fourth of July celebration kids will love, set the table with our flag-inspired, shaped plates. 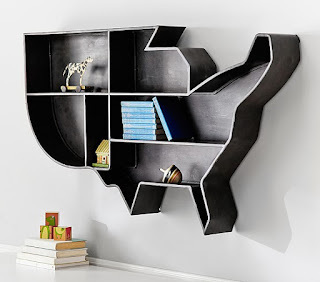 USA Shelf ~ Teach kids the shape of the continental United States with this clever shelf. 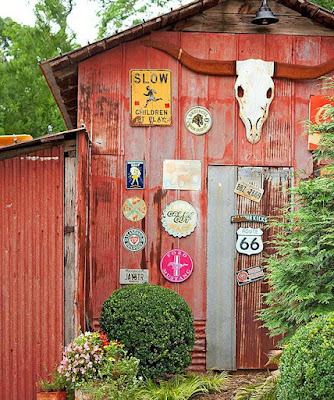 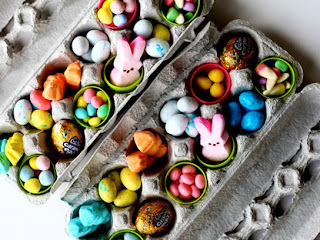 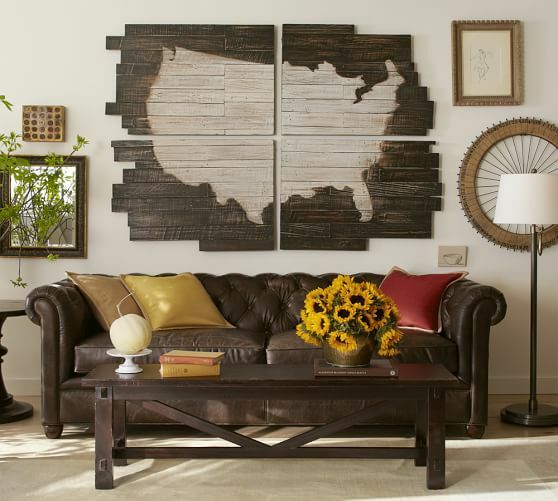 It adds dimension to their walls and offers ample display opportunities. 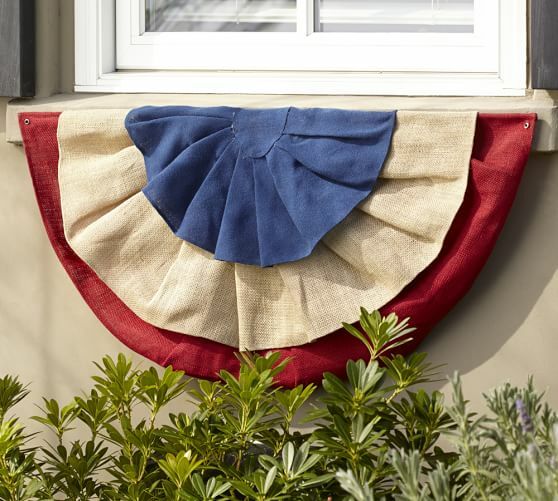 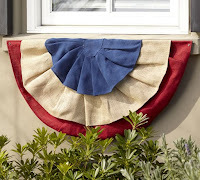 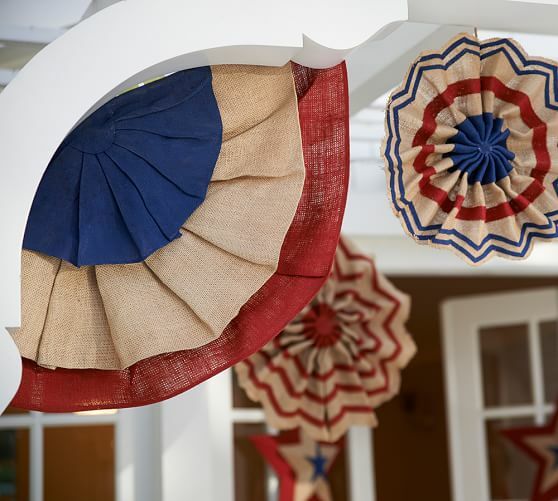 Fourth of July Burlap Window Box Swag ~ Drape your windows or patio in red, white and blue for a festive and colorful celebration. 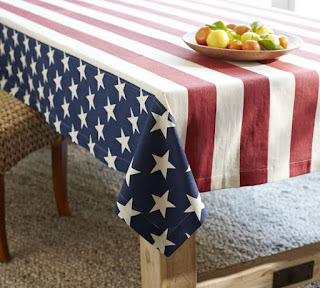 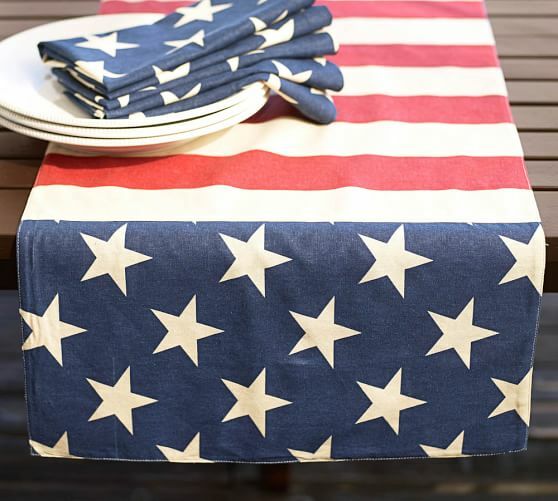 American Flag Tablecloth ~ Line your 4th of July feast along the festive stripes of our true-blue tablecloth. 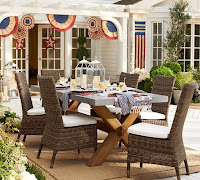 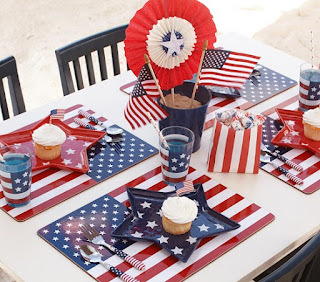 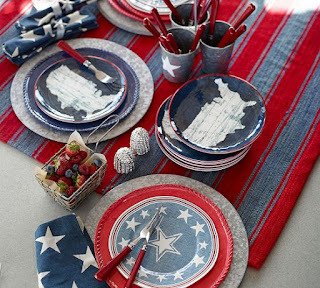 It’s a fun accent to outdoor picnics, or to any meal wanting a spark of patriotism. 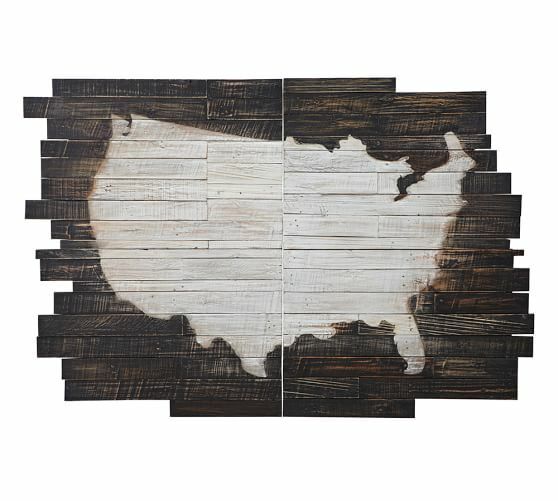 Planked USA Panels ~ Its impressive scale makes this unique art piece the focal point of a wall. Four sections of distressed, painted pine planks form a whitewashed representation of the USA. 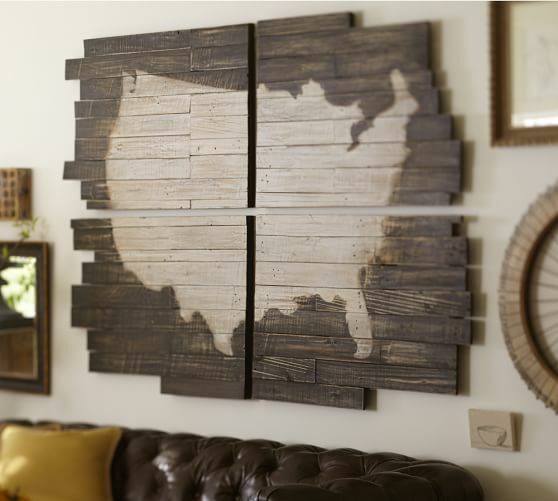 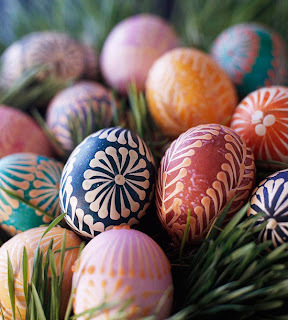 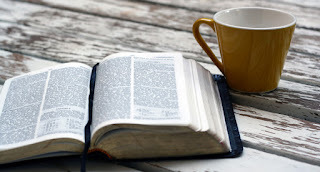 Crafted completely by hand, no two are exactly the same.